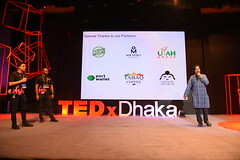 Here is the list of speakers of the TEDxDhaka: “Problems as Catalysts” conference happened on Saturday 21st September 2013 at the International School, Dhaka running full day from 11:00 to 18:00 in 4 sessions and 3 breaks. 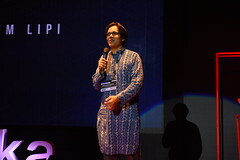 Mehdi is the founder and one of the developers at OmicronLab, the platform working to promote and facilitate Bangla computing through in-house developed free and open-source solutions. 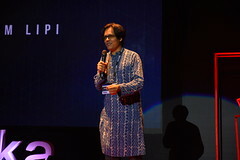 Avro Keyboard, the flagship product of OmicronLab, is now used by millions, has been adopted by Government and commercial and non-profit sectors, has received awards, and most importantly, helped a generation of Bangladeshis to express themselves online in their mother language. 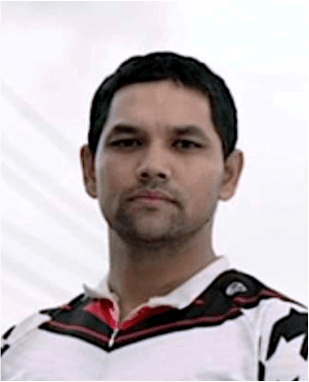 A plant-based diet and active lifestyle promoter, Mozammel is also the founding moderator of BDCyclists, the country’s largest bicycling group. Mozammel’s cycling activism is now spreading like a healthy virus through Dhaka city, and BDCyclists has more than 19,000 members. Based in Google’s Singapore office, Jana leads market development in countries that are in the early stages of leveraging the Internet to drive economic growth. 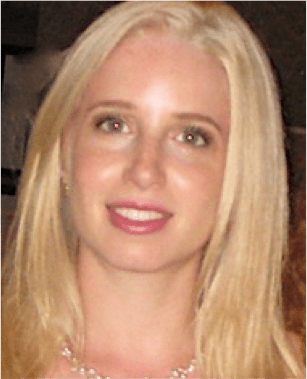 Prior to joining Google, Jana worked in the US developing partnerships for a digital multimedia startup and as a consultant to Marriott International’s eCommerce group. 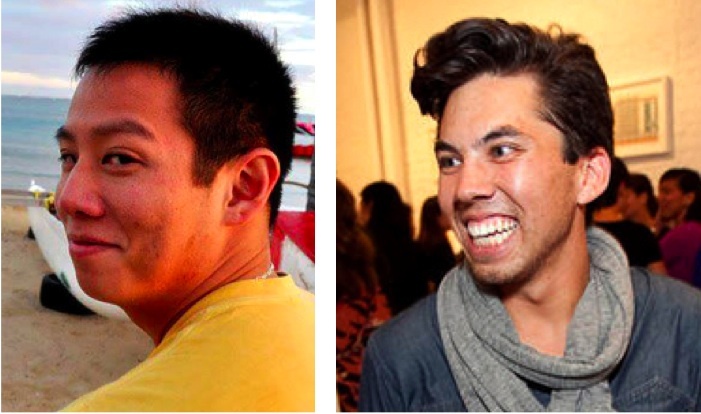 Mony is a computer graphics artist and aspiring animator. By day, she works at Ogniroth Studios as a Junior Visual Development Artist, and by night, she works on her own projects. She is currently making her first animated short film. She is a self-described dreamer. 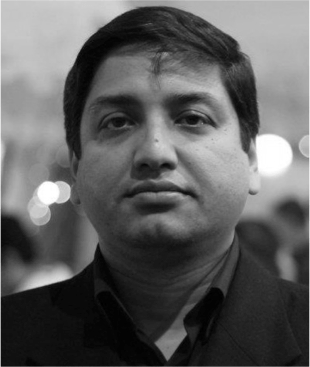 An architect based in Dhaka, Mamnoon is currently the Assistant General Secretary of the Institute of Architects Bangladesh. 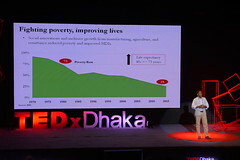 Involved in the drafting and updating of the Building Construction Rules for Dhaka city, Mamnoon believes that non-enforcement of the existing regulating is one of the major causes for degeneration of urban environment and building-related disasters. 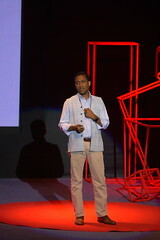 Albert is a former researcher in sustainable transport at MIT and a former Googler who helped Google Maps become number one in the world. 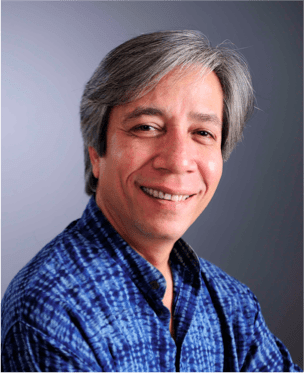 Stephen is an award-winning designer and urban planner who has worked on projects to improve communities from Israel to Indonesia. 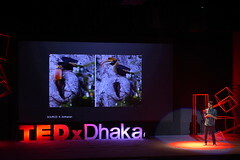 A Bangladeshi attorney and environmentalist, Rizwana has been dubbed ‘Hero of Environment’ by TIME magazine. Her campaign of judicial activism in Bangladesh affirms that the people’s right to a good environment is no less than their right to dignity and life. For her work, she is a recipient of the Goldman Environmental Prize and the Ramon Magsaysay Award, widely regarded as Asia’s Nobel Prize. 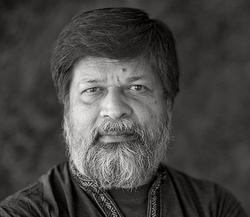 Shahidul Alam is a Bangladeshi photographer and writer with a special interest in education and new media. 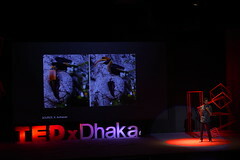 He set up the award winning Drik Picture Library, the Bangladesh Photographic Institute, Pathshala – South Asian Institute of Photography the DrikNews photo agency and Banglarights, the Bangladesh Human rights portal. His work has been shown in leading museums including The Museum of Modern Art (MoMa) in New York, the Tehran Museum of Contemporary Arts, the Royal Albert Hall in London, Le Centre Georges Pompidou in Paris. 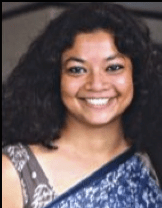 A former volunteer at a cat rescue programme and zoo in the US, and driven by the culling of her own dog in Dhaka, Rubaiya founded Obhoyaronno – Bangladesh’s Animal Welfare Foundation in 2009. Obhoyaronno is the country’s first and currently only animal welfare organization working to end animal cruelty through advocacy, education, and humane programme implementation. 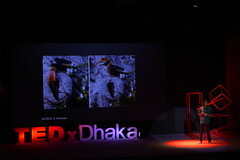 Due to Obhoyaronno’s persistent advocacy, the government ended dog culling in Dhaka in January 2012 and declared Dhaka as the country’s first ‘no-cull’ city. 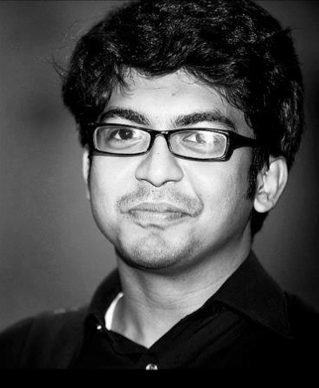 This young, very talented comedian was born with a good sense of humour and always entertained his class as well as his teachers, with his jokes. Being the ‘class clown’ is not an embarrassment for him, because it is the purpose that matters to him, not the way; and his purpose was to make everyone laugh. 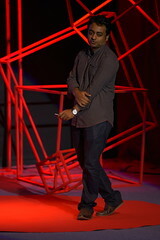 Officially venturing into this field about two years back, Yamin has already gained a lot of popularity among the youth. 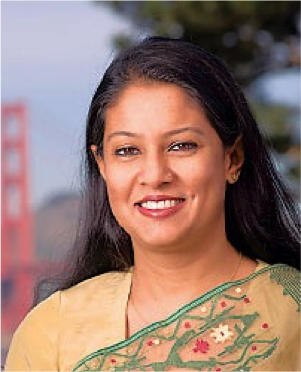 A dedicated social worker and author of the upcoming book, ‘Bangladesh on Seven Summits’, Wasfia was the youngest and one of the first Bangladeshis to reach the summit of Mount Everest. 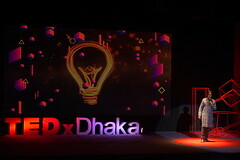 With a mission to highlight positive stories and the strengths of her people, she set out to climb the highest mountain of each continent when Bangladesh turned 40 years in the midst of political, economical and environmental chaos. In the twenty-plus years since its launch, the fair trade handicrafts store Prabartana has grown into an internationally established brand. 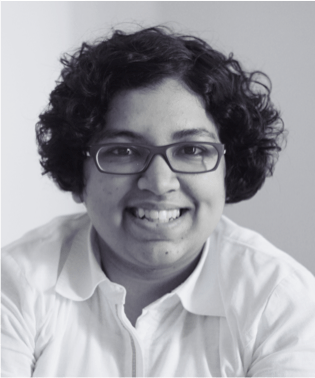 Shamim, as Director, engages in extensive research on handloom products and woven fabrics, adding to the body of knowledge about the relationship between the rhythm of the shuttle (Maku) and the thickness and texture of fabric. He is also ever inspired by the stories of the weavers themselves, and the way they lead their often secret and illicit lives. Skeptic, rebel, mother, lover, dreamer, poet, designer, singer. 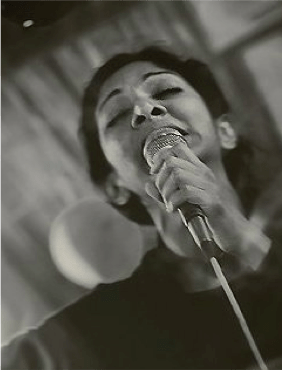 Anusheh’s search for an understanding of the world has brought her close to the music, art, and philosophy that lie at the roots of her birthplace. 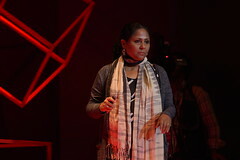 Bangladesh’s powerful folks arts and spirituality have become the canvas for Anusheh’s musical and artistic journey.